You’ve seen them, the guys tirelessly rebounding for players during warm-up and hustling for water and towels at every timeout. The unsung heroes of the basketball program. These are the UF Basketball Managers, a proud fraternity of students that do the day-to-day tasks that help things run smoothly all season long. You always see them on the sideline, but do you really know what they do? In an effort to find out I reached out to Ryan Jackson, a current manager for the team. He was gracious enough to give me some insight about what it’s really like being on the support staff for the team. This is the secret life of a Florida basketball manager. EF: Thanks so much for joining me Ryan! I know this is a busy time of the year for you so I really appreciate it. First, can you tell everyone where you’re from, what you’re taking in school, and what your role is with the Florida basketball program? RJ: Thanks for having me Eric. My name is Ryan Jackson and I’m from Ocala, Florida. I’m majoring in sports management. I’m a second year manager at UF but this is my fourth year as a manager. I worked at Central Florida in Ocala for my first two years as a JUCO manager. As a manager here I am given many responsibilities each day that can include working players out before or after practice, setting up practice, helping out the coaches with anything they need and if there is any administrative-type work we try to help out with that as well. EF: We’ll get into more details of your job in a moment, but before that I’m curious, growing up in central Florida did you grow up as Gators fan? Or what was your first exposure to Gators basketball? RJ: I definitely grew up in a Gators household. My dad graduated for UF in the eighties and had season tickets to football games since then. I went to my first football game when I was three I think, and started to go to the basketball games as well. 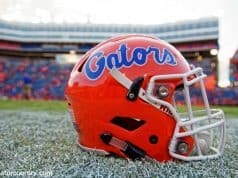 I can remember really starting to like it when the Gators won the back-to-back national titles. Great time to start loving Gator basketball, right! EF: No kidding! The personality of the coaching staff has set the tone in recruiting and has the Gatos back on the recruiting front nationally. You know the personalities of the coaching staff perhaps better than anyone due to your role. How would you describe them and why are great players gravitating towards them? RJ: Yeah for sure, coach White treats everyone in the program with the utmost respect. I can’t imagine another head coach playing noon ball every day after a two-hour practice with the managers. Personally, I couldn’t be happier working for Coach White. Coach Al Pinkins has been a great addition this offseason. He’s really laid back and cares about each player and manager so much. He’s very easy to go sit in his office and have a conversation with, and I’m sure recruits feel the same way. Coach Jordan Mincy always has so much energy on and off the court. He’s always laughing, making jokes, but at the same time he’s very serious and takes so much pride in the work he does for the Gators. Coach Darris Nichols is a great coach to learn from. I really try and listen when we talk and try to take away as much as I can from his basketball knowledge. He’s a great mix of Coach Mincy’s high energy and Coach Pinkins’ relaxed personality. I think overall their personalities all mesh well and they are able to build great relationships with recruits as well as support staff like managers and video assistants. EF: That’s an amazing rundown and it’s great to see a different side of those coaches. I want to get more into your day-to-day role as a manager. I’m going to give you some different situations and I’d love for you to give me a rundown of what your day looks like from start to finish. First, let’s say it’s a weekday home game in, say, January, so it’s a conference opponent. What does your day look like? RJ: Oh man, it’s a long day for the managers. We will get into the practice facility early in the morning and get our van packed with each bag we have to take over to the arena. It includes gear, towels, shoot around loops, game loops, the jerseys, stools, laundry bags, among other things. Then we will set up for shoot around and then set up the court for the game, which includes the ref’s locker room and the away team locker room. After shoot around two managers will go back to the facility and start washing the shoot around loops while the others set up more for the game. Once players start coming back to the O’Dome we will start rebounding for them and get ready for the game. After the game ends we clean the bench, ref locker room, and away locker room. As well as we take down anything from the court setup. Lastly, we take everything back over to the practice facility and start laundry for the jerseys and game gear. EF: That is definitely a long day! It totally makes sense, but I didn’t even think about you having to take care of the refs AND the visitor’s locker room! Okay, next scenario: a normal practice day. What does that look like? RJ: Depends on if I have class or not but assuming I do, I’ll get in around 9 AM and go upstairs and check to see if any of the coaches, Director of Basketball Operations, or scouting director need anything. Then, I’ll make sure we are stocked with water in the fridge upstairs and coach’s locker room. I’ll see if any player are in and want to get a workout in. After that I’ll normally head to class. Once that’s over I’ll see if any of the coaches want lunch picked up for them. Then we will start setting up for practice with towels, water bottles, and making sure the court is clean. Then we help during practice and clean up once it’s all over. Finally comes the best part of the job. Playing noon ball with the coaches. It’s pickup basketball for 40 minutes with no breaks. It’s always exhausting and we don’t win many but on the days we do get a win, it’s a great feeling! The last part of the day is doing laundry for the players, coaches, and other managers. Once that’s over we head home and get ready to repeat it all tomorrow. EF: Wow, it definitely sounds like you wear a lot of hats! What is the weirdest request you’ve had to fill from one of the coaches, or is there any good stories about something you’ve needed to do to help them out? RJ: It’s not really a weird story, just something I never expected. One of the coaches has had me babysit his kids a few times. I even got to go watch his son play little league baseball one time! He has great kids and they seem to really like me but babysitting is definitely something I never thought I would be doing as a manager! EF: (laughs) You’re definitely ready to answer the call, whatever it may be! Do you ever play a role on recruiting visits? RJ: Yeah we really try to be as helpful as we can. First, we always clean the locker room and court and make sure they look very nice. We will drive the golf cart on campus tours if we are needed for that. We reserve parking spots the morning of the football home games because parking is very hectic on those days. We will give up out spots for the recruits so they go right to the visit. Then, when it’s time to go to the football game we drive them to the stadium on the golf cart. After dropping them off we are always on call because you never know when the recruit wants to leave the game. Once we finish that we make sure no coaches need anything else from us and then we head out for the night. If there’s a breakfast the next morning we will set that up for the families and coaches. Once they head out to go home we clean everything up to finish the visit. EF: Well it seems like those visits have been netting some great recruits, so thanks for that hard work! To you, what is the best part about being a UF manager and what is the hardest part? RJ: Oh, the best part is for sure learning from the coaches. I work everyday with the people that have my dream job. I try to take as many things I can from the assistants and Coach White. Everyday is like I’m in class and they are teaching something new. I’ve known for a very long time that I wanted to get into coaching and not being talented enough to play in college led me on this path of being a manager. It’s something I’m so grateful for that I can be in a college gym and soak in so much information from some of the best coaches in the country. The hardest part about being a manager has to be the time commitment. Again, we are in before 9 and don’t leave until 7 on most days, but I have had days where I’ll be there from 6 AM to midnight three or four days in a row. There isn’t a ton of time to relax and just rest because each day presents something new. Even in the offseason there are always things we could be doing that occupies our time. So while there isn’t much time off, I wouldn’t have it any other way. I absolutely love spending my entire day in a basketball gym. EF: I’m glad there are dedicated guys like you on the staff helping things run smoothly! Let’s go back to those noon ball games you play in. How would you describe Coach White’s game on the court? RJ: Coach White could definitely still play for an SEC team. Throw him out there with our guys and he wouldn’t miss a beat. He’s really been working out a lot so he’s a lot stronger driving to the basket. It’s almost hard to describe, he’s just such a big body going to the hoop. His first step is always quicker than mine no matter how much I try and anticipate where he’s going to go. He has a James Harden-like euro step that is just unguardable. And forget leaving him open on a three. Anytime there’s any space at all he’s gonna make it and probably yell “layup!” while shooting. When he gets going he really takes over games and there’s nothing we can do to stop him. EF: (laughs) That is amazing. I’d love to see that. Which one of the managers is the best? RJ: As much as I’d love to say myself, that is definitely not the case. We actually have a former walk-on player at Elon University, Sam Hershberger, that is one of our graduate assistants. He’s really fun to play with, very unselfish, loves to find cutter and open shooters, but knows how to go get a tough bucket whenever the manager squad needs one. EF: If you had the chance to tell Florida basketball fans why they should be excited for the team this year, what would you tell them? RJ: We’ve got a team that loves playing together and feeding off of each other’s success. It’s a young team, lots of new faces, however I’ve loved seeing the guys go 110% every day. Practice has been really competitive and guys take things personally. 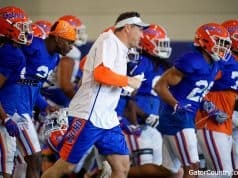 I think this group has really enjoyed bringing their hard hats every day and pushing each other to be better with each rep, which I believe will lead to them having a lot of fun this year and winning a lot of ballgames for Gator Nation and for each other. EF: Thanks so much for your time Ryan! I love the insight into Florida basketball from your perspective and you gave us a great look behind the curtain. Finally, I just want to ask you, what are your personal long-term goals in basketball? RJ: Thanks for having me Eric, I love sharing my experiences with anyone interested in some of the things that make a college basketball program run smoothly. As far as my personal long-term goals, I would love to run the show one day. I have known for a very long time that I was not going to be good enough to play in the NBA so once I realized that I put my mind on coaching. 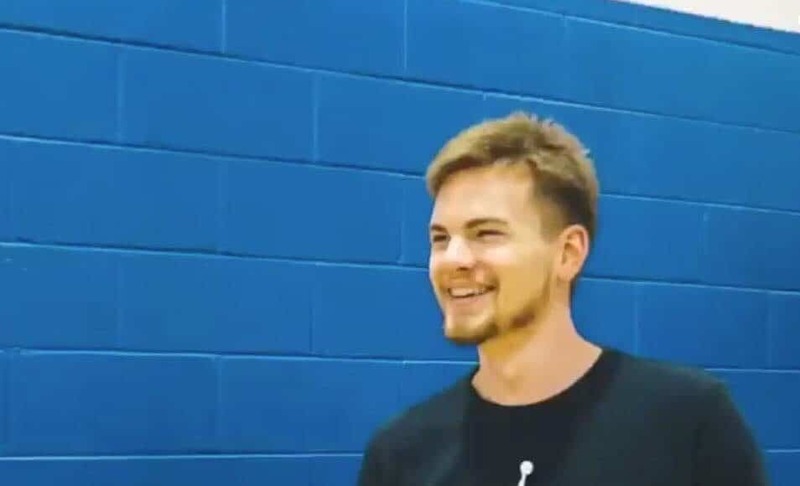 Eventually I want to climb the coaching ladder, build connections with many people in the industry, and just keep learning and developing my skills as a teacher of the game, but also a coach that can help his players with life issues. Coaching has so much to offer off the court, and I want to be able to impact players’ lives in a positive way while also winning a lot of games for the school I am apart of. EF: That’s great, I wish you all the best with your long-term goals and I hope you have an awesome year both behind the bench and in the classroom! Thanks Ryan! 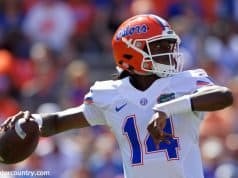 RJ: Of course, thanks again and go Gators!